Trail Head Cyclery’s service team offers some of the most comprehensive services around and was founded with the core belief of doing service the right way, with professionalism and longevity in mind. Our crew of highly experienced, passionate, and personable mechanics are happy to provide whatever maintenance your bike may need and answer any questions you may have. We want you to be able to ride with the peace of mind that the best mechanics in the business made sure your bike is safe and functioning at its best. A full service shop, since day 1. Since we opened doors in 1997 at our original location, Trail Head Cyclery has always been a service-orientated shop. 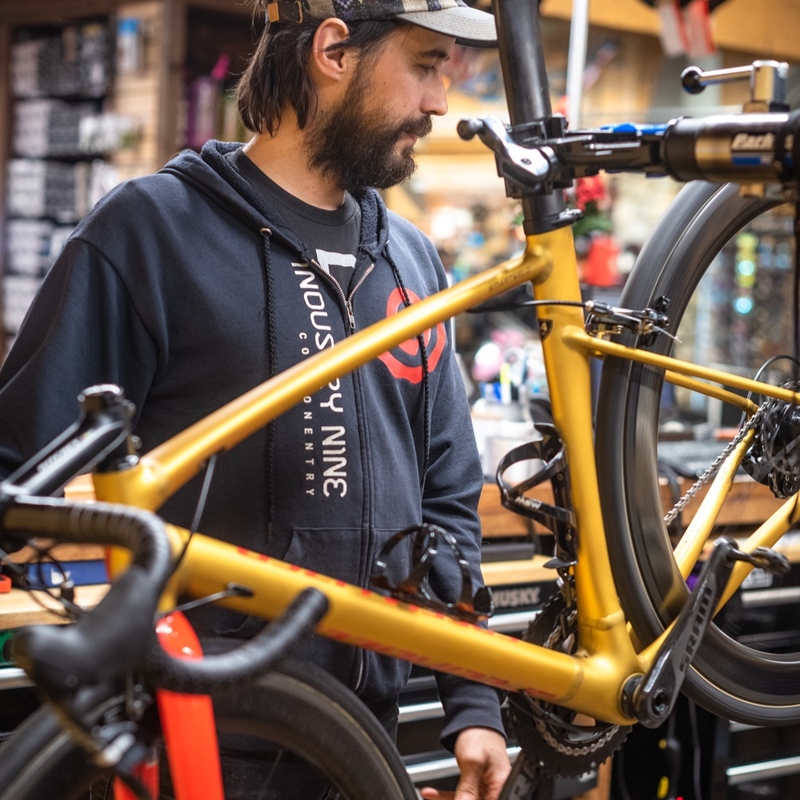 We established our shop with the belief that the service workshop is the heart and soul of the shop and that philosophy remains true today.We’ve always known that professional and trustworthy bike service is a rarity in the bay area. Most shops attempt to provide customers with the lowest price and quickest turnover rate when it comes to servicing their bikes, this is why we took it upon ourselves to create one of the most outstanding service departments around. The best care towards your bike. Every bicycle has a story. Chances are, it’s been a provider of happiness, passion, and fond memories. No two bikes are the same and every bike has a different story. But one thing is certain between all bikes, eventually they will need some care to keep the good times rolling. We understand that every bike is unique and deserves unique services, this is why we take a very holistic and thorough approach to working on every bike that comes into our shop. Whether it’s a minor tune up, or a major overhaul, we strive to give your bike the love it deserves. Feel free to browse our complete list of services we offer below. If you don’t see a specific service you need done, chances are we can still take care of it for you. The best way to figure out an exact pricing quote for services is to come by the shop with your bike. You can always send us an email, or give us a call at (408) 369-9666 for an estimate. A complete diagnosis of what service your bike could use and how it would improve your ride. Go through the entire bike, make sure everything is tightened to factory torque spec. A thorough cleaning and fresh bearings throughout the frame. Have your bike professionally cleaned. Including drivetrain, pivots, and those hard to reach areas.